This is the second post in A Manufacturer’s Guide to Social Media. Read the first post here. Running a social media account for your business can be intimidating. Each social media network has its own personality and purpose, so how do you know which one to use? Don’t panic. The differences are easy to explain. People can, and have, written quite a bit about this, but we’ll keep it short and simple here. 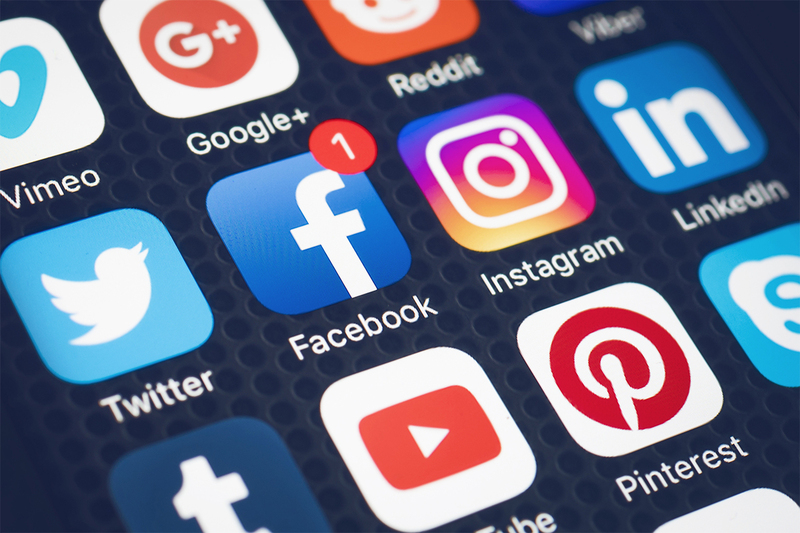 The big four networks are Facebook, LinkedIn, Instagram, and Twitter. Google+ and Pinterest are also major players, but neither of them will be as useful to manufacturers. Let’s start with Facebook. Facebook is almost a standard, and many of your customers will likely expect to find you on here if you’re on social media at all. That being said, don’t feel forced to make a page if you’re not going to keep it up. Facebook is great for local businesses that are trying to bring people in. Facebook is not stuffy or formal, but it’s also a good place to share business milestones. Some ideas for Facebook posts are: a look behind the scenes at your shop, any business milestones (significant anniversaries for the shop or employees, press releases, any updates from your shop, etc.). Think of Facebook as a big, talkative crowd. Just about anyone could see your content, ranging from potential employees, to potential customers, or the shop down the street. LinkedIn is fairly similar to Facebook, but more business-oriented. On LinkedIn, you’ll mostly be talking to other businesses and potential or current employees. If you sell to other businesses, then you could have a similar strategy for LinkedIn as you do for Facebook, just a bit less casual. Otherwise, this could be your platform to entice new employees. You’ll want to share things like significant increases in revenue (or any other business metric you feel comfortable sharing), new managers or corporate officers, and any impressive jobs you’ve run recently. When you create posts, you’ll want to make them sound a bit more professional, while still sounding like you. Think of LinkedIn as an online networking event and be sure to, metaphorically, tuck your shirt in. Instagram is a casual, human interest type of social network. Instagram is based around pictures, as every post features an image. This is a great network for posting pictures behind the scenes in your shop. These could be anything from working on an unusual job, to employee anniversaries, or a company sponsored event. Instagram tends to be more lighthearted with pictures or videos that have interesting content or make people laugh. Don’t be discouraged, though, it’s still a great place for manufacturers. Facebook and Instagram are owned by the same company, so sharing between the two networks is very easy. Twitter is a good network if you have a lot of brief thoughts to share. People and businesses tend to post frequently on Twitter, so it’s difficult to tweet too many times in one day. That being said, Twitter has a 280 character limit, so each tweet needs to be pretty short. As far as what to say, there’s a wide range on Twitter. It’s a bit less playful than Instagram but not as professional as LinkedIn. So, you can tweet about things like a significant increase in your shop’s revenue (although not about too many statistics), challenges in any unusual orders you’re making, or something funny or noteworthy from your company picnic. If you’re just starting out with social media, it’s probably best to pick just one network. After you’ve mastered that, you can move on to other networks, if you feel the need. When you’re deciding which network to start with, look for other shops like yours that are successful on social media and see what they are doing. Even after you have a lot of followers, it’s still a good idea to check on your competition to see if you can adapt any of their strategies to your shop. Experiment with everything from what time you post to what you talk about in your posts, just be sure to only change one thing at a time so you can tell what works.